Well, I AM a happy old gal! This is a little late, but I wanted to share with you just a few of the goodies I received this Christmas. 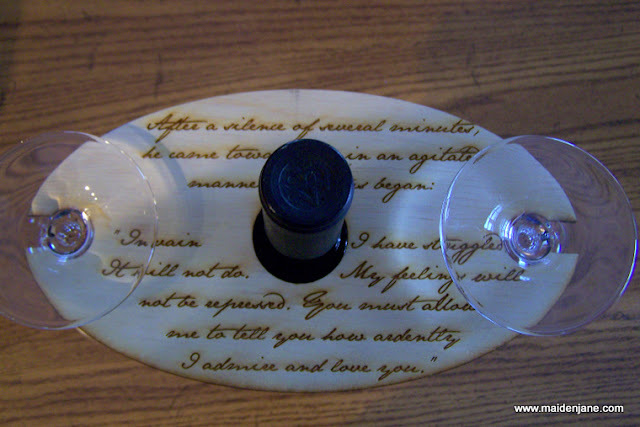 My oldest daughter bought me this wine glass holder with the wonderful Austen quote from Pride & Prejudice! She got it from the very neat shop Etched In Time. That bottle of wine? Yep, from my neighbors! That’s in addition to the Nike jogging jacket they gave me! Yep. I’m spoiled! 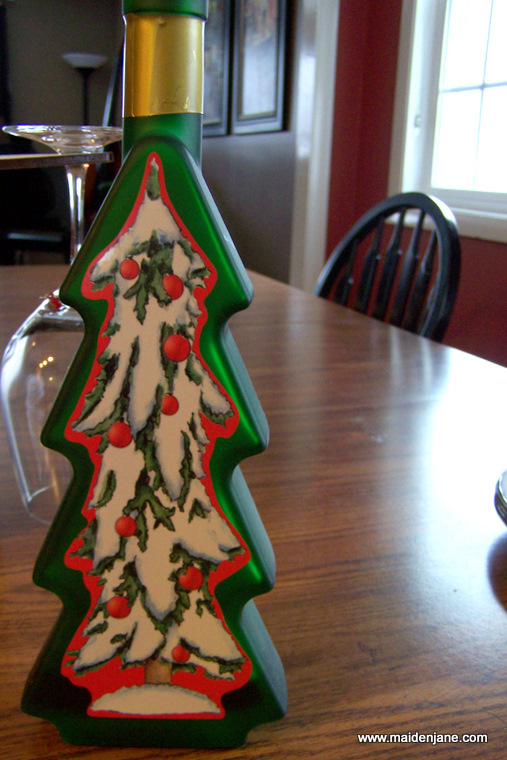 This tree-shaped bottle was from my friends Karen & Bob. 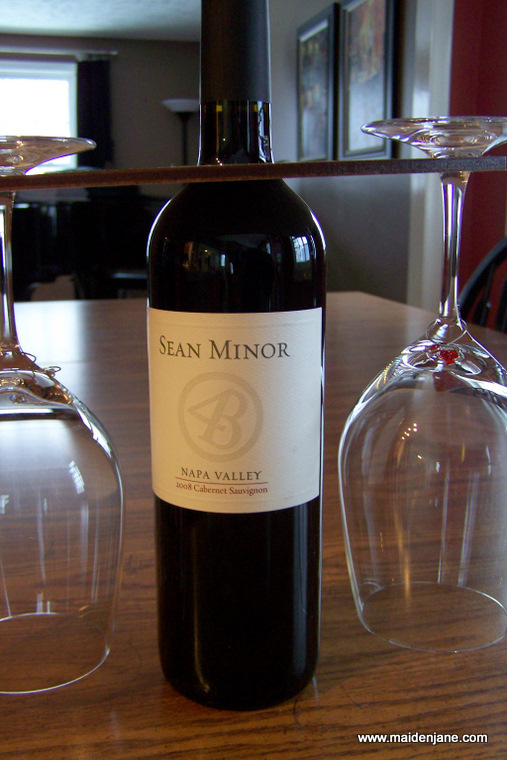 I also got “Wine-opoly” from them, appropriately enough! But they didn’t stop there. 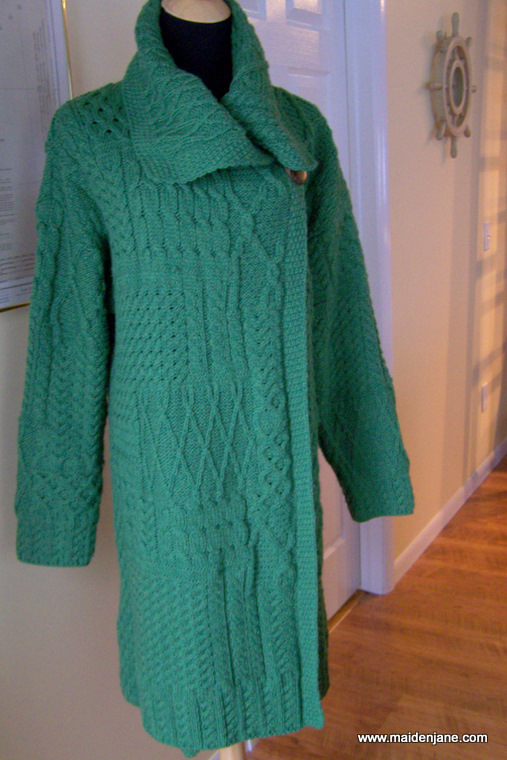 They gave me this fabulous, knit sweater coat! I LOVE it and have been wearing all the time. It is super-soft merino wool and keeps me close to my Irish roots! Everyone thinks I knit it! Annie made all of her gifts, including the web site for her brother, earrings for her sister and a gun-rack (don’t ask) for her other brother. Inspired by something she had seen on Etsy, she made me two personal drink holders. These are great for our sectional for which we only have one end table. I helped my youngest son make his presents, also. 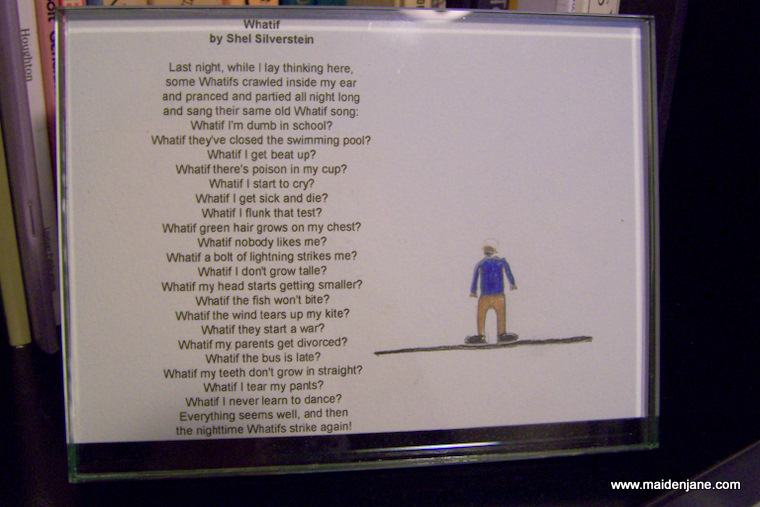 For a couple family members who worry, we framed Shel Silversteins “What If” poem and he drew a corresponding picture. Yes, I am spoiled and happy and blessed! You are a lucky (and very loved) lady! 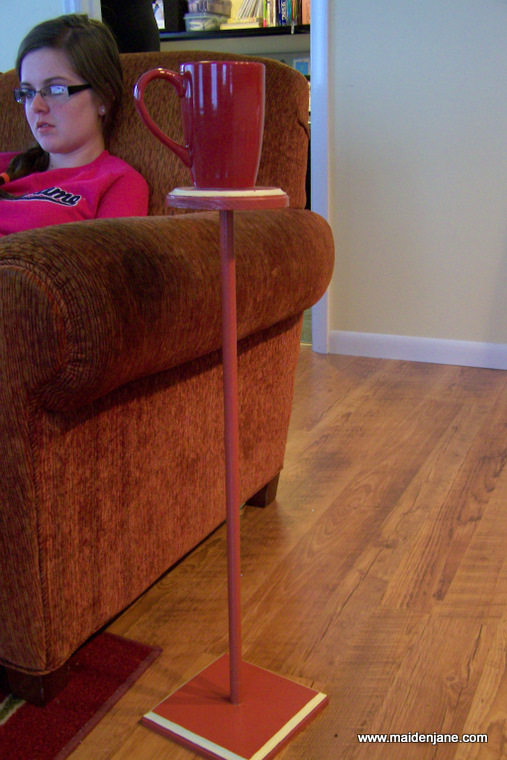 Annie is so clever–love the mug table she made for you! 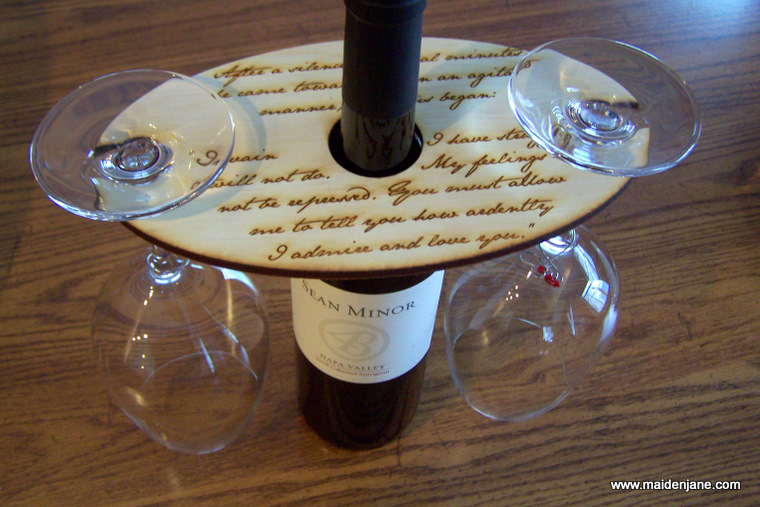 The poem and the picture is such a sweet gift, too! Lovely ideas and I love that it was handmade! I love all of your gifts, you lucky spoiled person! That rack with the P&P quote is fabulous. And that sweater jacket! Oh my, it is GORGEOUS. Lovely gifts Jane. Your children are so talented! A few years ago I got Garden opoly . I now want Garden Scrabble. lol I love Shel Silverstein, decided to make a copy of the poem for my daughter. She is a worrier. Comes from a long line of worriers. Pardon my grammer, I write twitter style these days.